“Camouflage” as “the act of hiding anything from your enemy” first appeared in British print media on May 25, 1917, exported from the French during the First World War (Behrens, 2002). In biology, it is an adaptive coloration which is similar to a given background and thus allows a subject to blend in with its surrounding (Martin and Hine, 2014, Allaby, 2009). Hence, the definition of camouflage is an anti-predator defensive strategy associated with concealment, including “the prevention of detection and recognition” (Hughes et al, 2014). Dazzle camouflage was successfully applied to naval vessels as protective coloration during World War I and World War II. Unlike terrestrial camouflage with predictable surroundings, naval dazzle camouflage was designed to remain visible, but, at the same time, unidentifiable in terms of boundary, shape, speed, and direction, creating erratic patterns due to a constant shift of backgrounds and locations (Behrens, 1999). Today there are many areas aside from questions of life and death that require camouflaging techniques for protection; as an example one can cite privacy. In the age of Big Data, advances in rapid computation and data mining techniques provide opportunities for us to embrace beneficial outcomes from the generation and communication of massive quantities of data (Tene & Polonetsky, 2012). However, privacy issue behind becomes a main concern, not only because of the divulgation of identifiable data but also due to other related personal information. Personally identifiable data can be used as a key to access further private information. This could indeed be a powerful approach for statistical analysis. For instance, an estimation of pedestrian traffic volume provides a strong support to architects and urban planners when making decisions. More detailed information collected through individual identification, such as age, marital status, interests, profession, or income can significantly improve accuracy and efficiency. But for individuals, this kind of high transparency may cause stress and fear, and it can also be an invasion of privacy. Even if this type of transparency is premised on individual consent, individuals are still in a position where decisions to provide personal information are not responsible, based on cases of well-documented cognitive biases or the growing complexity of the data ecosystem (Tene & Polonetsky, 2012). 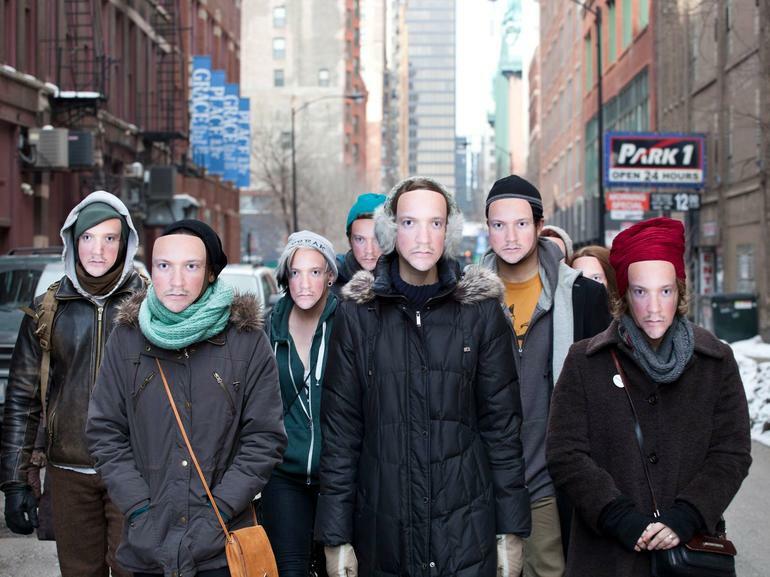 Hence, there are a burgeoning group of contemporary art projects proposing to become “informatically opaque” (Blas, 2013) toward facial recognition in order to break the connection in different ways: undetectability, alternative identity, and collective Identity. 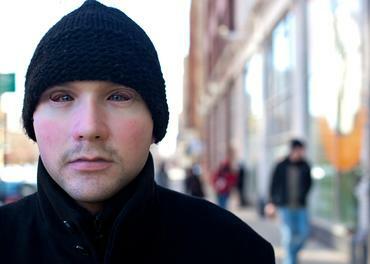 In the realm of fashion, artist Adam Harvey (2010) developed an approach where DIY make-up and hair styling can be used against facial detection in CV (computer vision) Dazzle as “the perilous glamour of life under surveillance”. Six style tips are proposed to dazzle electronic observers: avoid enhancers, partially obscure the nose-bridge area, partially obscure one of the ocular regions, obscure the elliptical shape of the head, and an asymmetrical look. Leo Selvaggio (2014) employs the logic of identity replacement to defend against facial recognition. He proposes the URME project, which suggests people wear a 3D-printed resin mask made from a 3D scan of his own face to adopt an alternative identity. One step further, instead of being someone, Zach Blas (2013) suggests another avenue is to be anyone or to be no one. He runs a series of mask workshops called Facial Weaponization Suite. Considering the negative influence of surveillance on marginalized groups, he proposes two masks, a pink Fag Face Mask aimed at queer discrimination and a black mask aimed at racism. Through his masks, our individual facial identity is hidden and we becomes non-existent or a universal “we” (Monahan, 2015). Gait patterns extracted from videos are becoming a new type of personal and identifiable information and are likely to be the next recognition target due to a remote recognisability and an adaptive ability in poor quality or low fidelity surveillance sources. Future gait recognition techniques are hypothesized here as a combination of model-based and appearance-based approaches, a fusion of various conditions relating to clothing and surroundings as well as other biometrics, and an establishment of a personal gait database according to current novel gait recognition technologies. Camouflaging oneself from gait recognition is not possible using pure concealment methods. Similar to a ship, it is also very difficult for gait to “disappear” from a computerized algorithm. The gait silhouette is synthesized by each pixel value as a function of time along the whole sequence (Liu and Zheng, 2007). In other words, the moving subject is extracted from the still background. Thence, only under the circumstance that the subject is not moving and only if the colour of the subject keep changing with the surroundings and at the same time a shadow is avoided, the gait can be concealed. Therefore, dazzle camouflage which does not simply aim to conceal and disappear within an environment, but intends to disguise and confuse the judgment with observable but disruptive elements is more achievable. In terms of recognition the main purpose for gait and other biometric measurements is that the inter-class variation (difference between individuals) is greater than the intra-class variation (variation within one subject) (Nixon et al. 2006). Hence, a logical strategy for dazzle camouflage is to overlap intra-class variances with inter-class ones either by increasing intra-class variances or by reducing inter-class variances or both. Regarding the predictions of gait recognition technology outlined before, simply to enlarge the variances within one subject might be impractical owing to a future personal gait database. As a result, the main approach should focus on minimising the variance between individuals. According to the anti-facial recognition projects, although undetectability is not suitable for gait recognition, dazzling may be applied in two other tactics: alternative identity and collective identity. Through the study of walking prosthesis, the way they change or even limit the original way of walking provides the possibility of lessening the inter-class variance of gait. 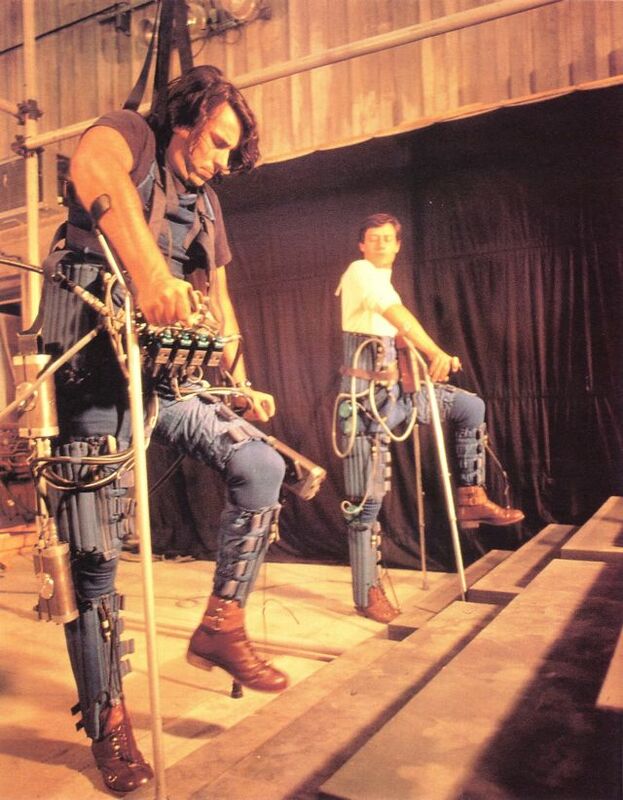 Especially the Pneumatic Exoskeleton Prosthesis by Pierre Rabischong (1978) provides a potential strategy by mimicking the gait of another person. Patients in rehabilitation are supported by this device and moves as their physical therapist moves through receiving stimuli to the paralysed muscles. Therefore, the gait identity of the patient is effectively replaced by the therapist’s identity as a type of alternative identity. In the realm of controlling Marcel·lí Antúnez Roca (1999) established an exoskeletal robot – Requiem – to control the wearer’s movements. The Requiem is suspended from the top and is activated by eight sensors placed around the room. The motions from different actors appear to be almost identical to one another. In other words, their motion identities become one or none as a kind of collective identity. Meanwhile, another artist, Ka Fai Choy (2012), explores the control of human motion and the experience of synchronicity through electric nerve stimulation. In his projects Synchrometrics, TENS (transcutaneous electrical nerve stimulation) pads were attached to four dancers’ arms in the same positions and were then activated at the same time (see Figure 21). Although there are small differences between each dancer’s reactions, all performed in a highly similar way. More experiments and prototypes provide are expored to provide the potential to control motion through prostheses, leading to confusion concerning a distinction between one’s own gait and other individuals’ gaits. 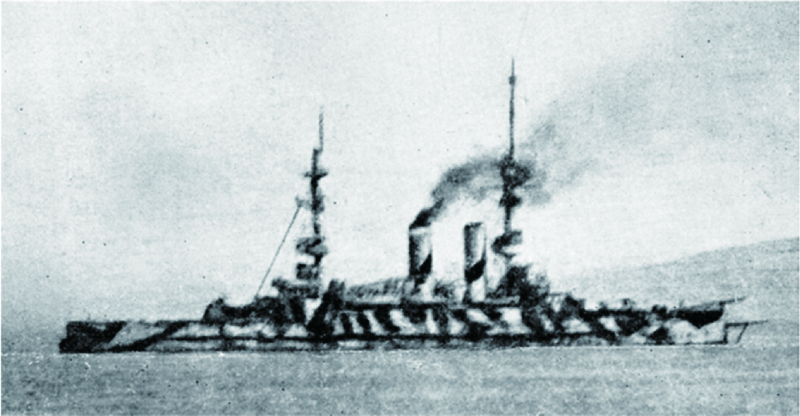 Behrens, R. R. (1999), the Role of Artists in Ship Camouflage during World War I. Leonardo 32, 53–59. Tene, O. (2011), Privacy : The New Generations, International Data Privacy Law, International Data Privacy Law (2011) 1 (1): 15-27.